We have taken a half dollar and cut it into a cool puzzle piece design. 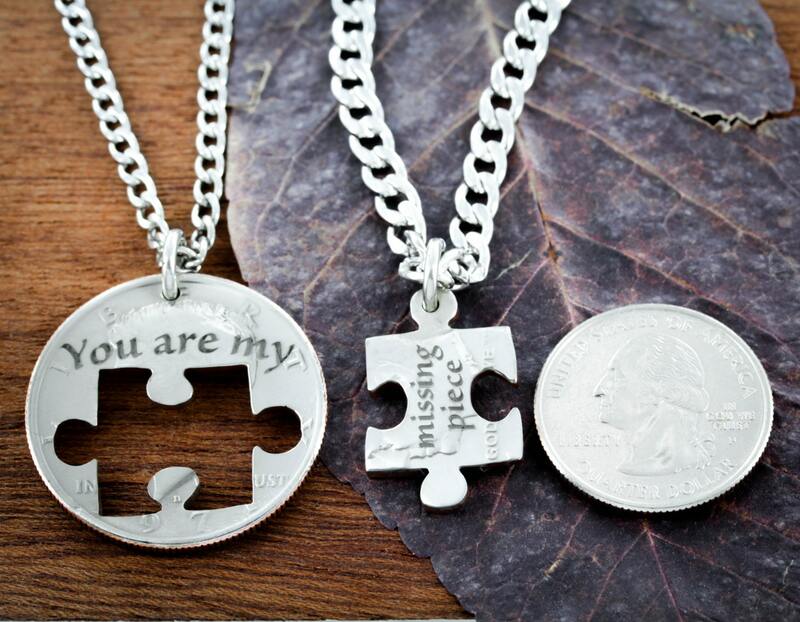 It makes two necklaces - The inside and outside shape of a puzzle piece. Then we have engraved deeply into both sides. 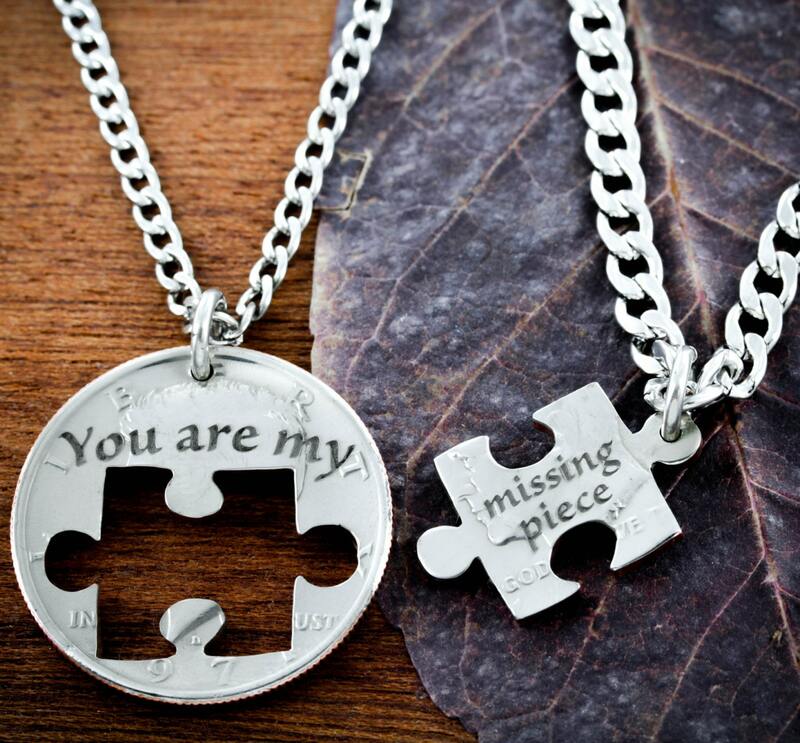 You are my - missing piece. 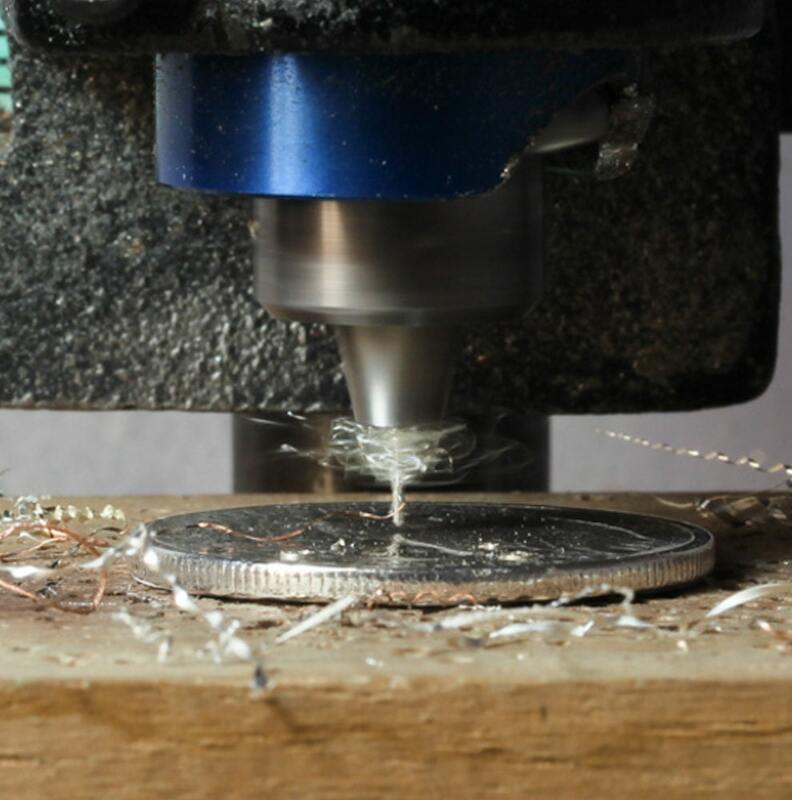 We can of course engrave something else if you like such as your names and anniversary date. 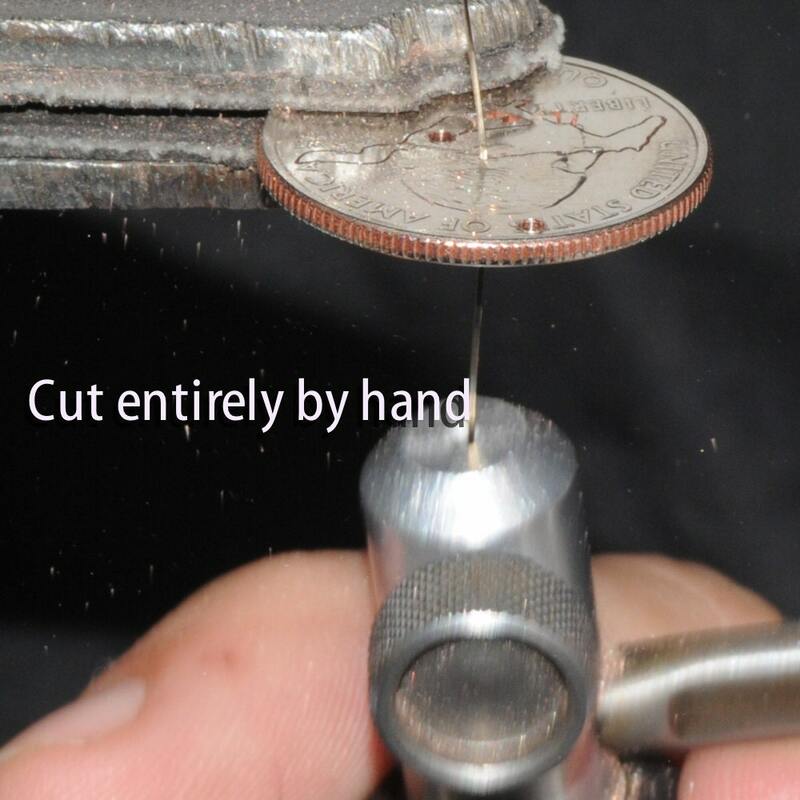 Just ask!! These have been cut by hand by our team of 6 in our workshop. Scroll down and learn about our process! We do all we can to make you the perfect gift so please ask us if you have questions! You get two strong and smooth stainless steel necklaces or key chains with each set. This custom gift was perfect in every way from the timely manner upon which it arrived as well as the gift bags . Simply beautiful work I cant wait to give my partner the other half .